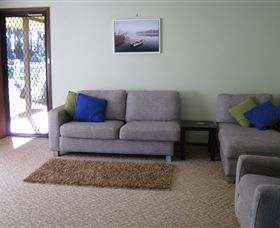 Come and stay at Mystery Bay in Figtree Cottage, situated between Narooma and Bermagui with Central Tilba close by. 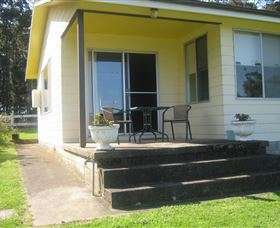 A farm stay, just a short walk to the beach. 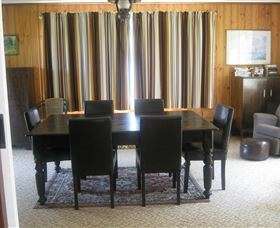 Figtree Cottage offers a full self catering kitchen, electric stove, fridge, and microwave with a sunny eatery. 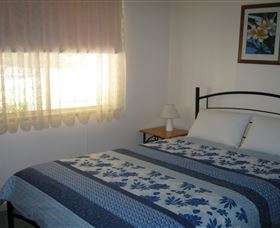 There are two bedrooms (queen bed in each). 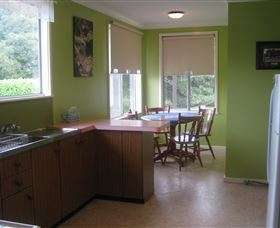 BYO linen, or hire can be arranged (sheets and towels). Blankets, pillows, doonas, and electric blankets are supplied. 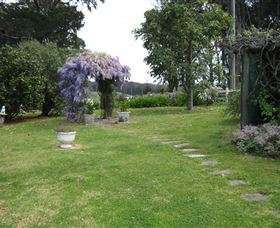 There is a separate bathroom and toilet, laundry facilities, a lounge room with television and DVD player, and access to front veranda, a large dining room with dining table and chairs with access to patio to sit, relax and enjoy the established garden and large native figtree. 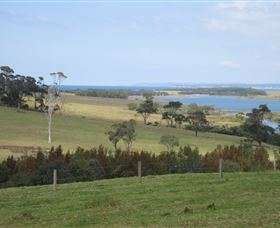 While staying you may like to go walking in the nearby National Park, stroll along Mystery Bay Beach for swimming, snorkelling, go fishing on 1080 beach, or canoeing on Tilba Lake. Figtree Cottage offers a full self catering kitchen, electric stove, fridge, and microwave with a sunny eatery.....There are two bedrooms (queen bed in each). BYO linen, or hire can be arranged (sheets and towels). Blankets, pillows, doonas, and electric blankets are supplied.....There is a separate bathroom and toilet, laundry facilities, a lounge room with television and DVD player, and access to front veranda, a large dining room with dining table and chairs with access to patio to sit, relax and enjoy the established garden and large native figtree..... 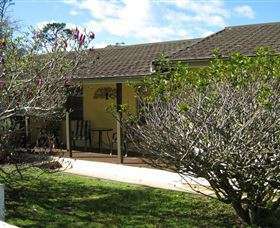 While staying you may like to go walking in the nearby Eurobodalla National Park, stroll along Mystery Bay Beach for swimming, snorkelling, go fishing on 1080 beach, or canoeing on Tilba Lake.